Company name Joshin　Denki　Co.,Ltd. Large scale special site of cosumer electronics, PC and hobbies. 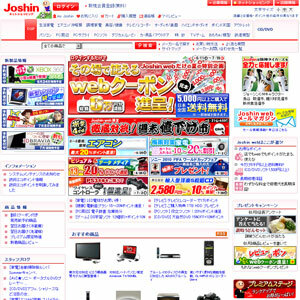 Shopping site of large-scale specialty store Joshin of consumer electronic and PC hobbies. There is a sales every week!